ISArt.Studio jewelry design: Bracelet with emeralds & diamonds. Custom CAD modeling & design for jewelry production , Free stuff and sale 3D models of jewelry from GoldArt collection. Many other different works associated with the desing and production of jewelry . Bracelet with emeralds & diamonds. Its a wonderful to see fantastic piee here. 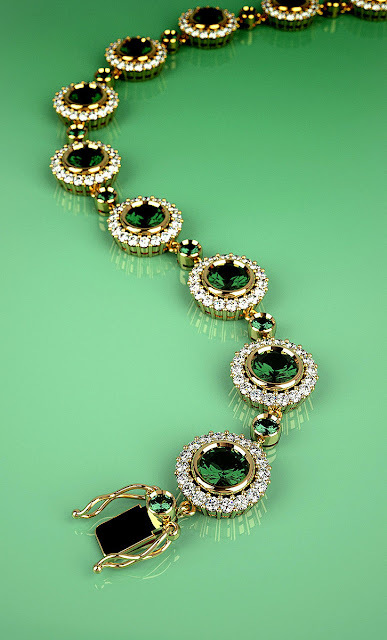 This bracelet with emeralds & diamonds is beautifully designed by a designer. Its a one of the beauty of the jewelry.